The Comfort Turnout Boot is hand-crafted from a singular piece of Yearling leather, the boot undergoes over 70 handheld processes. The unique, one piece leather design ensures there is only one seam at the back of the boot. The Comfort Turnout has a leather upper, cushioned inner sole, and Goodyear welted Non Slip, Oil Resistant Composite Rubber Sole. The welt stitching uses hot wax dipped thread for added durability and strength. A granulated corkalene filler offers increased cushioning between the insole and outer sole. These boots are suitable for dress and light work. Showing 10 of our total 45 reviews, with an average rating of 5 stars. 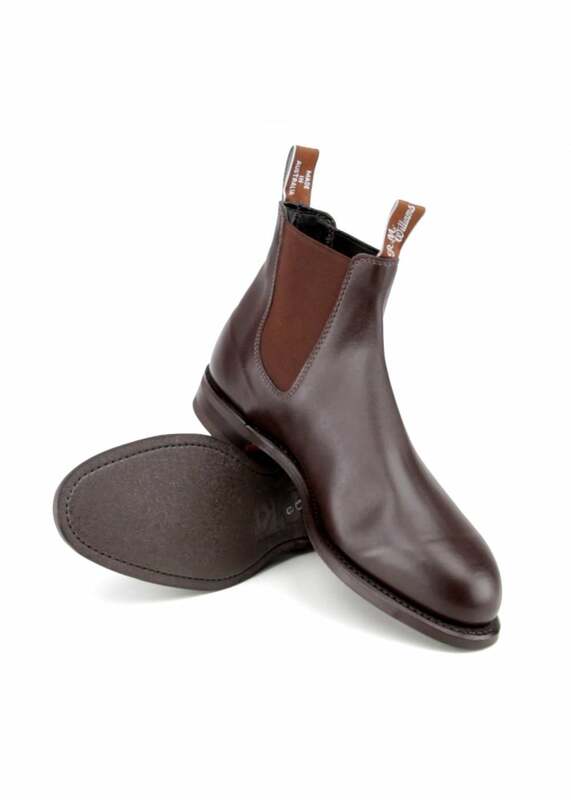 Read all 45 reviews for RM Williams Comfort Turnout Boots. Review Summary - 5 out of 5 based on 45 ratings. Perfect fit. Very good quality. The service was excellent and I changed delivery date and this was no problem at all. Would certainly use A. Hume again. the most comfortable shoes you can own! boots excellent quality, unfortunately size ordered was too small. Have worn RM Williams clothing for many years, good quality clothing that may seem expensive to some people but it is worth every penny as they last, you get what you pay for.